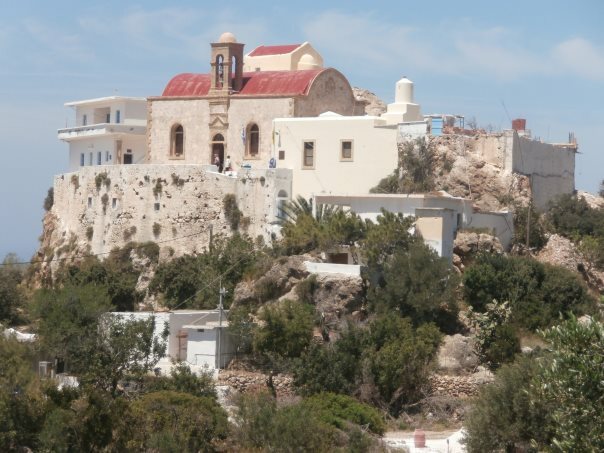 Chrisoskalitissa Monastery or Panagia Chryssoskalitissa is an Orthodox Christian monastery located on the southwest coast of Crete, about 72 kilometres south west of Chania. It is built on a rocky hill about 35 metres high, overlooking the Libyan Sea. 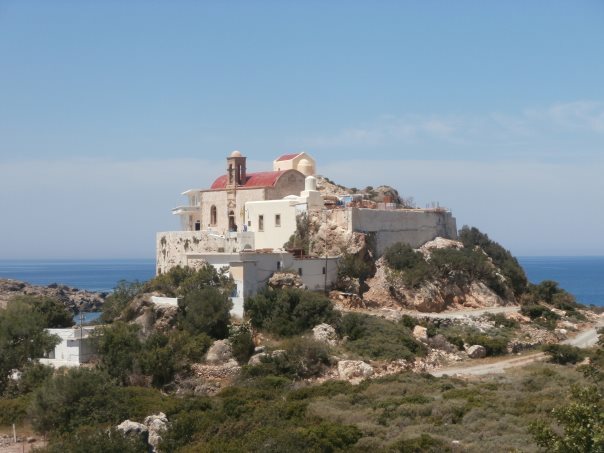 It is just a few kilometres north of the famous Elafonisi beach and is a female monastery. 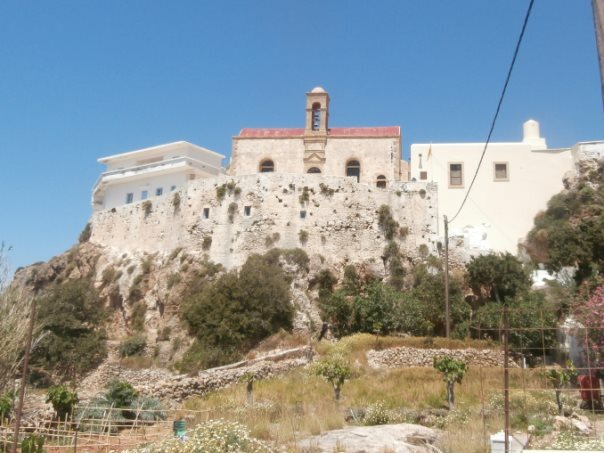 According to Cretian tradition, the name of the monastery derives from the ninety steps which lead there, the last ine of which is said to be golden but it was only visible to the faithful (hence the name of the monastery from the words Hriso meaning gold and Skalitissa meaning of the stair). 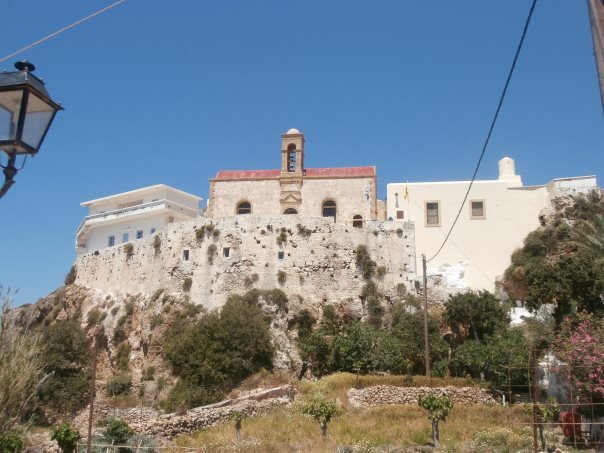 The monastery is dedicated to the Holy Trinity (“Agia Triada”) and the death of Virgin Mary (“Kimisis of Theotockos”) but the date it was built is unknown although it is believed that there was an older one there. It is said that the painting of “Kimisis tis Theotokou” was made 1.000 years ago. You can see this painting among others in the small church of the monastery. 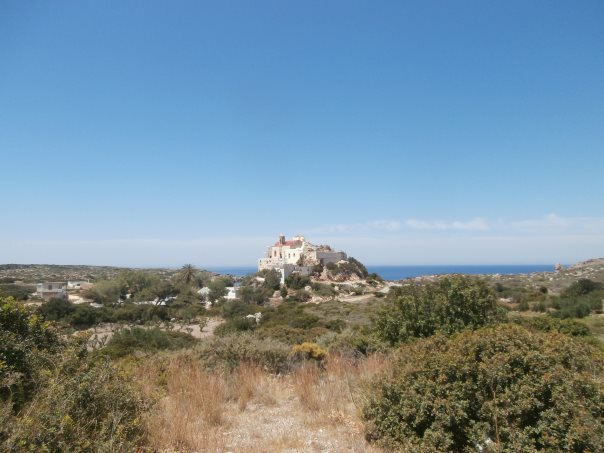 The area of Chrisoskalitissa is inhabited from the Middle-Minoan years when here was a settlement of fishermen and like all monasteries in Crete hadn’t escaped from the troubled history of the island, including numerous wars and conquers but it is still standing proudly above the sea. Chrisoskalitissa Monastery monastery is one of the landmarks of southwest Crete. A simple, but impressive building, which has kept alive the atmosphere of past centuries. Today the monastery is open to all people who can visit and maybe stay for a coupe, of nights if there are free cells. Its uniqueness and proximity to Elafonissi beach draw many visitors, both Greek and foreign.